The use of ceramic inserts to support high-temperature nickel-chrome resistance wire allows the Delta ceramic heater band to operate at temperatures reaching 1,500 degrees Fahrenheit. Corrosion-resistant metal is slit along the edges to allow easy fitting of the shroud to the object to be heated. The radiant heating effect of ceramic heaters allows construction in widths greater than those in other types of heaters. Wider bands allow fewer heaters per zone and more uniform heat patterns. Popular applications of ceramic band heaters include: extruder equipment, die heads, injection molding equipment, and chemical reactors. For more information about ceramic band heaters, download the Ceramic Band Heaters section of our product catalog or contact us to order. Delta ceramic heaters can be used as a flat plate heater. The use of a heavy gauge metal in the shroud and a lip sides causes the heater to be more rigid. Mounting holes can be placed in the perimeter of the shroud. 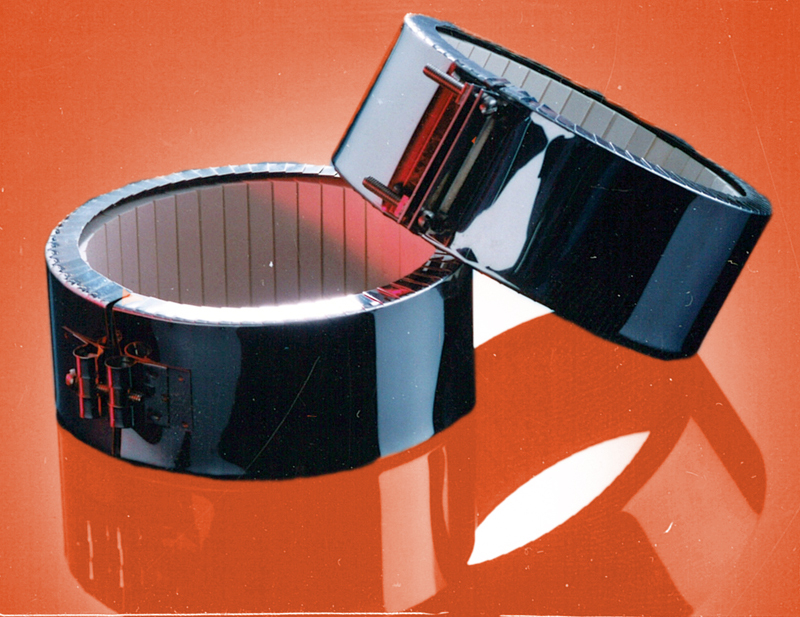 The use of ceramic inserts to support high-temperature nickel-chrome resistance wire allows the Delta ceramic heater band to operate at temperatures reaching 1,500 degrees Fahrenheit. Corrosion-resistant metal is slit along the edges to allow easy fitting of the shroud to the object to be heated. The radiant heating effect of ceramic heaters allows construction in widths greater than those in other types of heaters. Wider bands allow fewer heaters per zone and more uniform heat patterns. For more information about ceramic plate heaters, download the Ceramic Band Heaters section of our product catalog or contact us to order. Delta channel strip heaters are made using 304 stainless steel which allows operating temperatures up to 1200° F on the sheath. 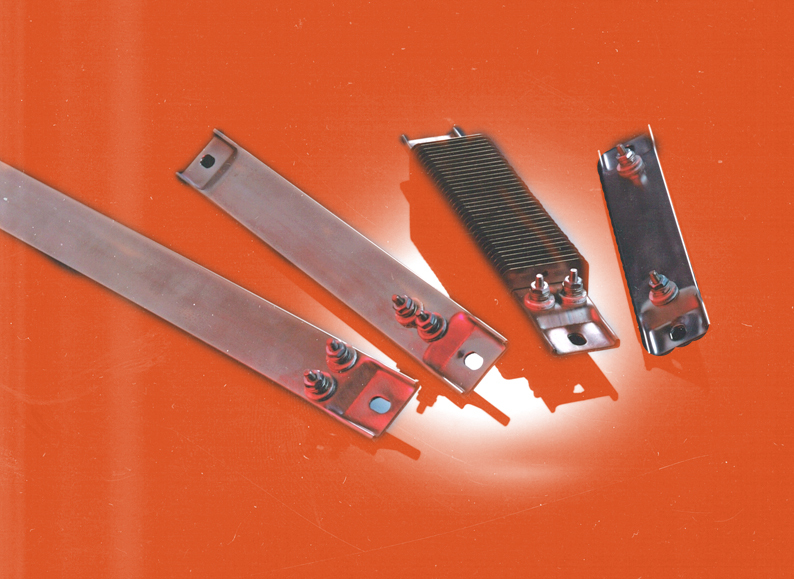 Delta channel strip heaters are used in heating hot plates, molds, dies, platens, tanks, ovens and many other applications. For more information about ceramic channel strip heaters, download the Channel Tube Strip Heaters section of our product catalog or contact us to order. Stainless steel fins are attached to the stainless steel sheath making the Delta finned strip heater a heater that is used in many industrial applications. The Delta finned strip heater is used to pass air over the 1200° F sheath to allow duct heating, drying ovens, air heating, environmental chambers, and many other applications.